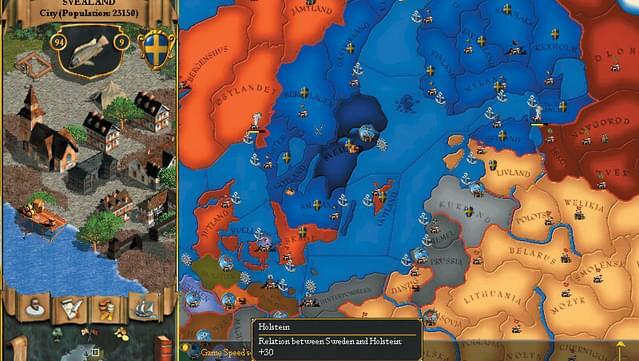 Interact with true historical events and persons to determine which path your nation will take in the game. 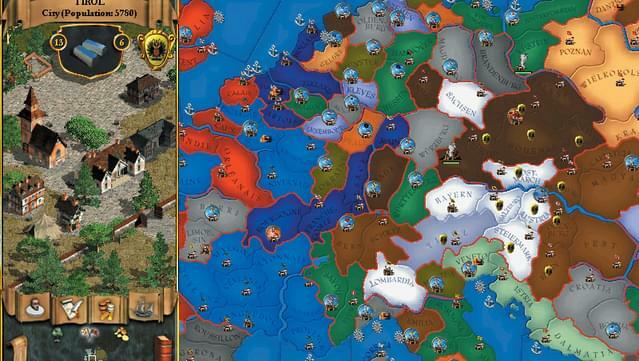 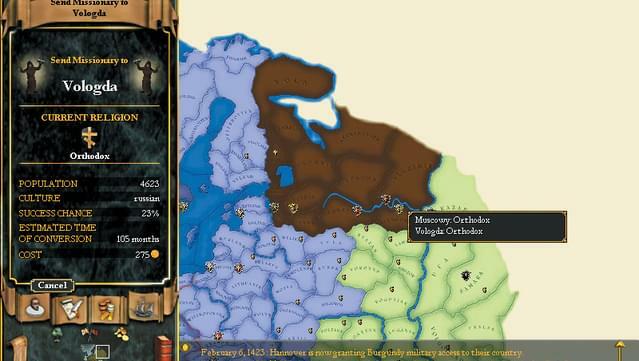 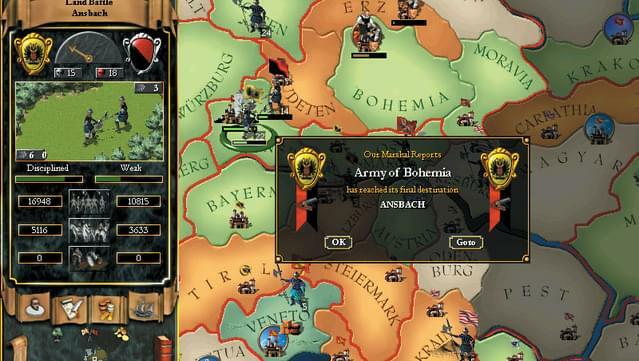 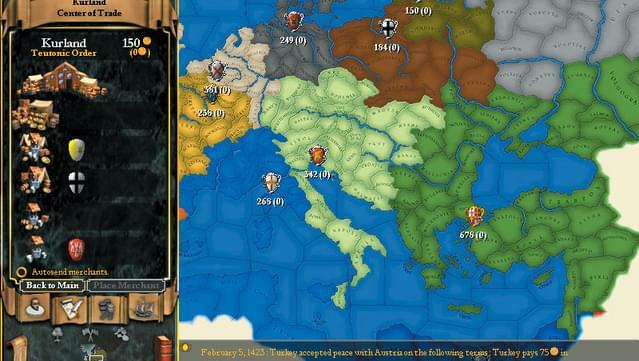 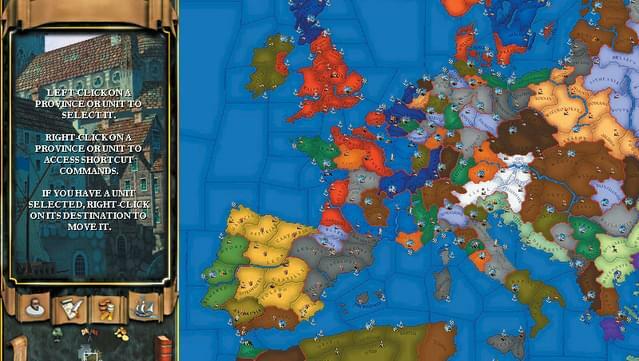 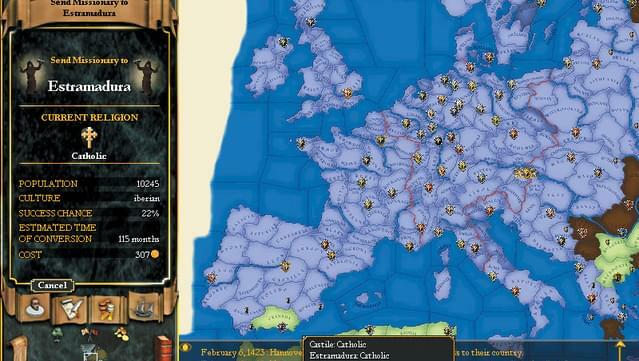 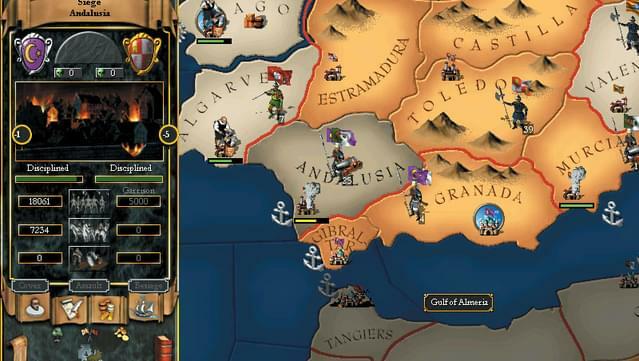 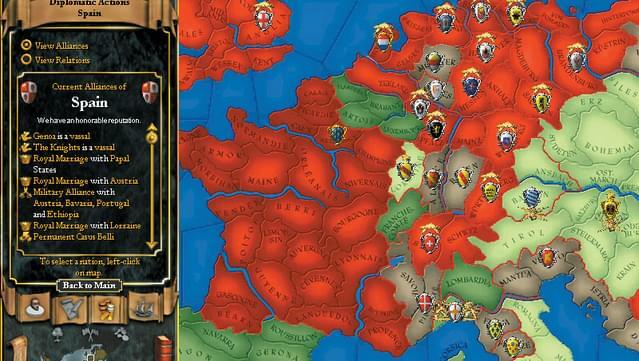 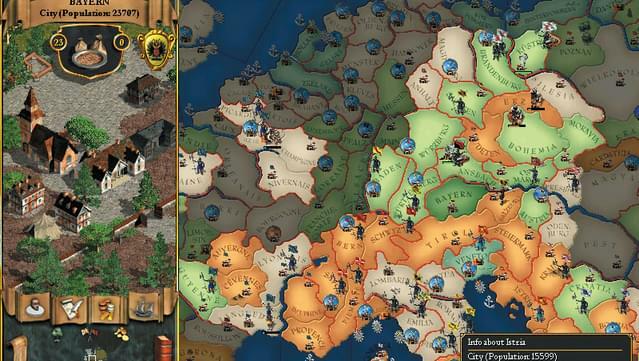 The new game includes an elaborate and expanded system for diplomacy, trade, military might and development. It also includes new graphics, music, sound, manual and a new tutorial system to lower the learning curve. 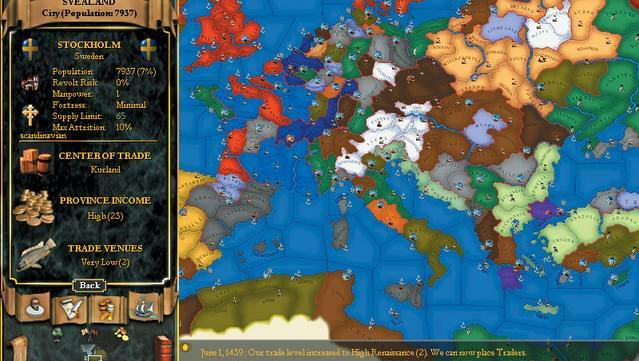 The possibility to demand or offer any combination of provinces, gold and diplomatic agreements as a result of peace. 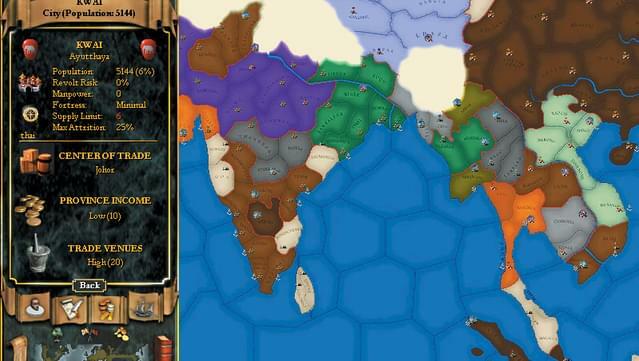 Europa Universalis II expands history's greatest cause of war "Religion", introducing Hinduism, Confucianism and Buddhism. 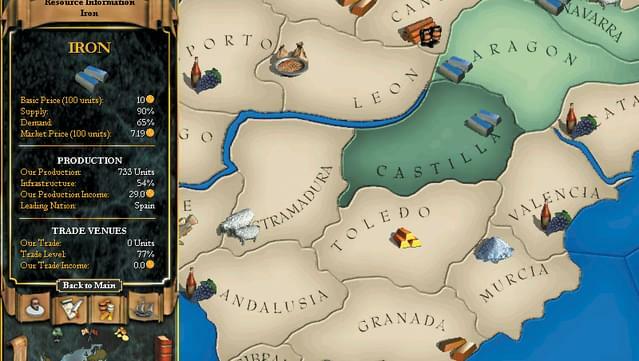 Cultural groups based on linguistic differences between peoples have also been introduced to portrait the difficulty with which one controls the subjects of another culture during different time periods. 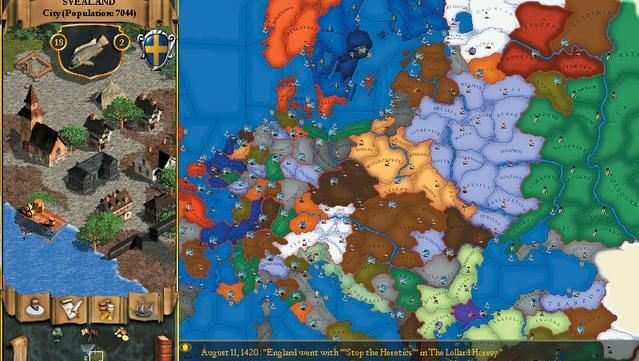 A brand new event engine that produces historical, random and special events. 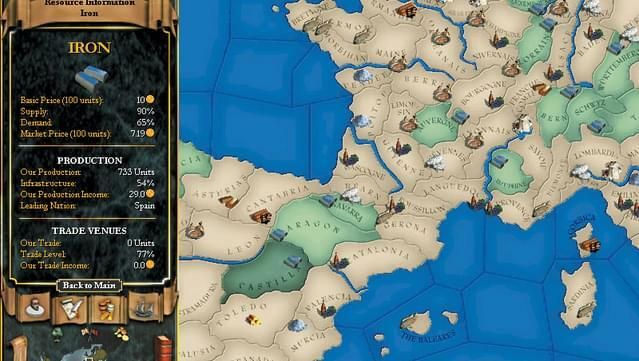 The event engine is designed to let the player create his own events making it very fun to build scenarios. 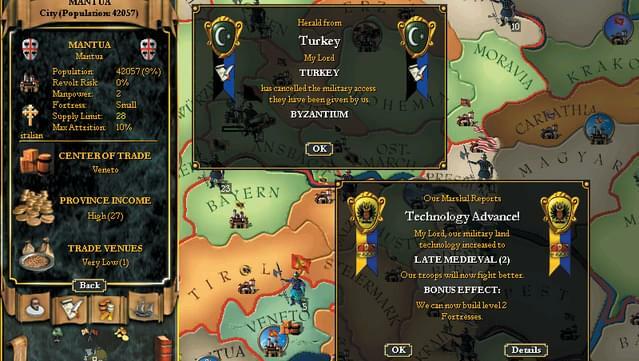 Many of the events have multiple choices.